Adding an Oriental rug to a room is one of the fastest and easiest ways to transform the look of the room and give it character and flair. In fact, the most difficult part about decorating with Oriental rugs is choosing one from among the fabulous varieties that are available. 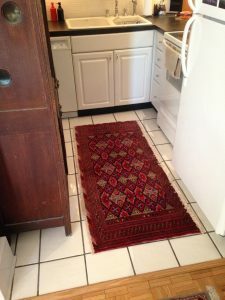 Oriental rugs possess several attributes that make them a favorite with homeowners who are looking to restyle the look of any one room or even their entire home. Firstly, oriental rugs are entirely hand-made by individual artisans. This means that each piece is unique. 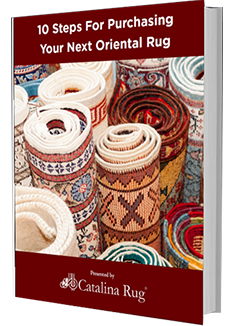 When you own an Oriental rug, you know that nobody else has a rug with the exact same style or design. It’s like owning a one-of-a-kind piece of fine art but without that unaffordable price tag. 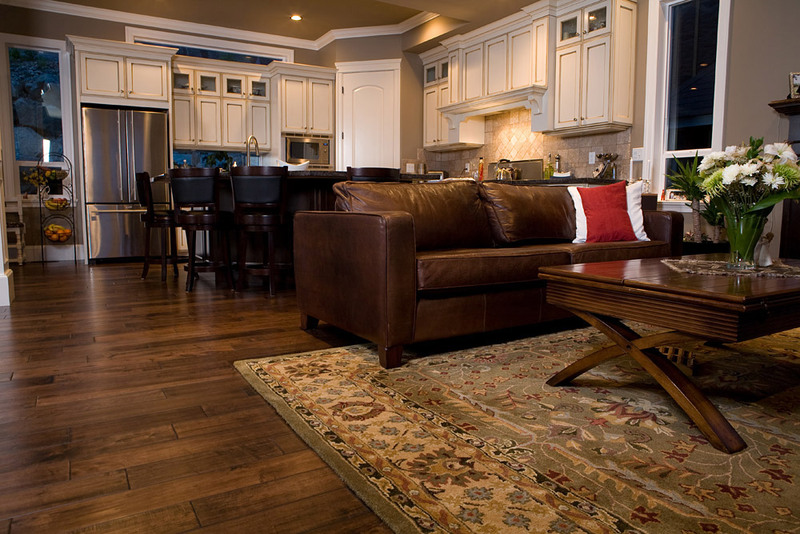 The beauty of using Oriental rugs to style your home is that you can achieve any result you want by simply taking the time to choose the right piece. A deep, dark, rich colored rug with an elaborate design across the field enclosed in an equally ornate border, can liven up any room that it is placed in. On the other hand, a pastel color rug strewn with motifs in equally light shades can tie all the other elements in the room beautifully, adding quiet elegance to the room but not grabbing all the attention. 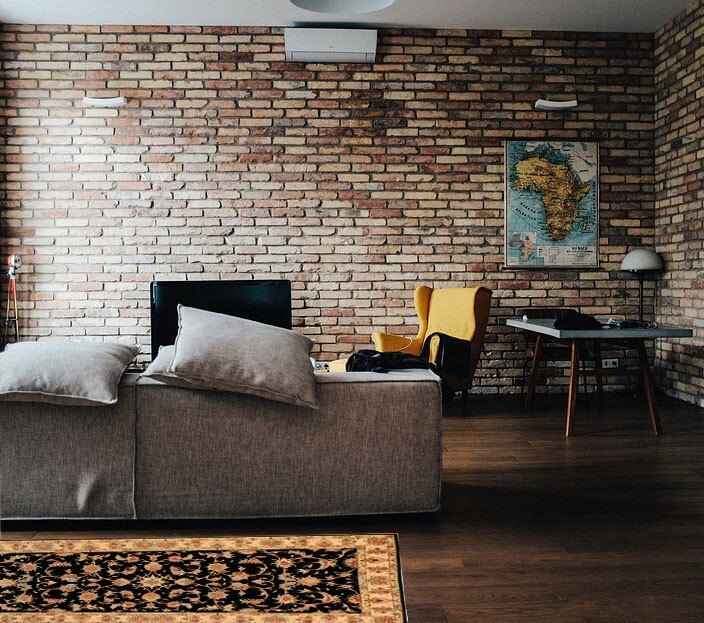 While there are no hard and fast rules when it comes to choosing a rug for any room in your home, here are a few things you may want to consider. Living Room – Depending on the size and configuration of your living room, you can either choose a small but very elaborate rug to add drama to an empty corner of the room or you can choose a large-sized rug as the center of attraction. If you are aiming for a cohesive look, keep in mind that the rug you choose should be in a color that complements your existing décor. 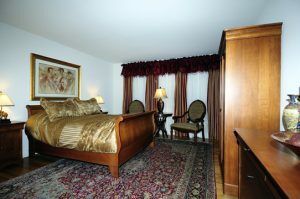 Bedroom – When placed in the bedroom, rugs make the room look cozier than ever. When choosing a rug for the bedroom, it is always a good idea to pick plush, thick-piled rugs in cool colors that are soothing and relaxing. If you don’t like the idea of placing the bed over the rug, you can choose two runner rugs and place them at either side of the bed so your feet have a soft, warm landing place when you get out of bed in the morning. Dining Room – A large, deep-colored rug with large, eye-catching motifs can add uplift the décor of your dining room and give it a regal look. Choosing the right size is most important when choosing a rug for your dining room. 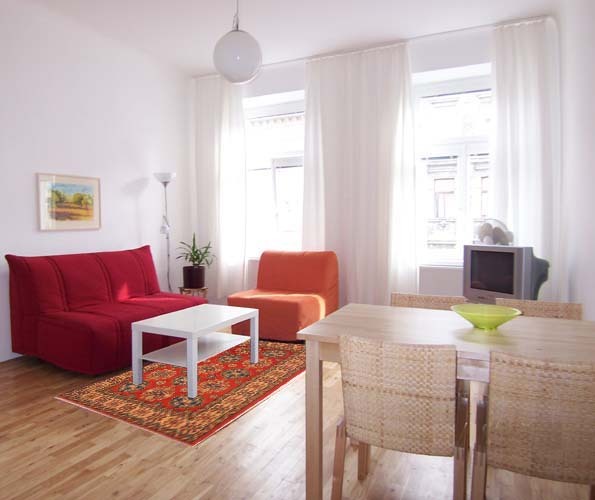 The rug must be large enough to allow the chairs to fit comfortably on the rug when pulled out. 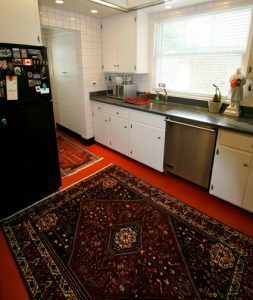 Kitchen – It’s amazing how even a small sized Oriental rug can immediately lift the look of the kitchen. When looking for a rug for your kitchen it is advisable to opt for darker colors that don’t allow liquid and food spills to be easily seen. Make sure the rug you choose for the kitchen is durable and will hold up to frequent washing as you will need to clean it often. With the large variety of Oriental rugs that are available your options are endless when you choose to use these unique, hand-made creations to style your home.